New FTD.com deals & tips: FTD is the top name in online florists with an unbeatable selection of seasonal bouquets and roses for every occasion. Read Chairman Meow’s FTD tips including how to get free shipping, or make your flowers last twice as long. Then, use a coupon for up to a 30% discount or free delivery on your order! Same-Day Delivery: 20% Off - "Flowers in hours"
Shipping (with the service fee) is expensive, and starts at about $12! An FTD Gold Membership costs $19.99, and gives you “free” shipping and no service fees for a year, (service fee waiver) including a reduced price for same and next day shipping. You can also opt-in for exclusive promo codes emailed from FTD. Because delivery and service fees can cost you nearly that much on a single order, it’s a good investment if you send flowers more than once a year! Free shipping that you pay for? That makes perfect sense! When you view your shopping cart, you’ll see a link saying, “Want free shipping + no service fees? Join now.” That’s where to click to join or learn more about free delivery with FTD Gold. #2: Use the 20-30% Off Coupon! 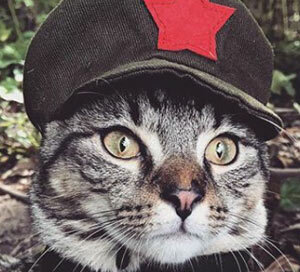 In an effort to destroy Capitalism, Chairman Meow has secured a 20% off coupon to take money back from greedy corporations. (or, up to 30% off before holidays like Valentine’s Day and Mother’s Day) The coupon works storewide, requires no code, and even works on some sale flowers and same-day shipping. It’s the best coupon online, and even beats the USAA discount., and the $5 off promo code you get with email signup. There’s no code needed; just click the link, and it will apply the coupon instantly. (see above) Sweet! These are really sweet deals, with seasonal bouquets from $19.99! Remember, if you signed up for FTD Gold, you also get free shipping on your order. Flowers sent for under $20 total? Not a bad idea! Note: *Deals of the day are excluded from FTD coupons and promo codes. Don’t place the flowers in a warm spot like in direct sunlight or on top of a tv. It will make them (bloom and wilt) too fast! FTD guarantees that your flowers will last 7+ days, but following these tips should make them fresh longer, and don’t forget to use a coupon for the best price. #6: Shipping: FTD or Local Florist? Will your order ship from FTD, or a local florist? Because of the perishable nature of flowers, it can be problematic to ship them from one, central place. While most bouquets and roses are shipped from FTD via FEDEX or UPS, some are arranged and shipped by local florists. If so, they will say, “florist delivered flowers” next to the product. By reading through scores of negative reviews, it seems that quality control is harder with deliveries from the local “florist delivered flowers,” who are asked to arrange and deliver the order from FTD. While it’s usually great, you might call it the “subcontracting” of your floral order. Same-Day Shipping: To send “flowers in hours,” order before 2 PM in the recipient’s time zone Monday-Friday. The good news is that our featured 20-30% off coupon is valid towards same day shipping! *Note: Saturday, and Holiday cutoff times vary, and Sunday delivery is usually not available. .A lot of bad reviews come from people who tried ordering same-day delivery on the weekend, and their flowers didn’t get there on time. Sending a bouquet to the Philippines during a Summer heatwave? That might not end well. Be aware of extreme seasonal temperatures, and pick a date or location that the recipient will be home to receive the bouquet in person. Also, FTD florists get crushed with orders for Valentine’s Day and Mother’s Day, so consider having them delivered a day or two early. You might even find a better coupon with early delivery! 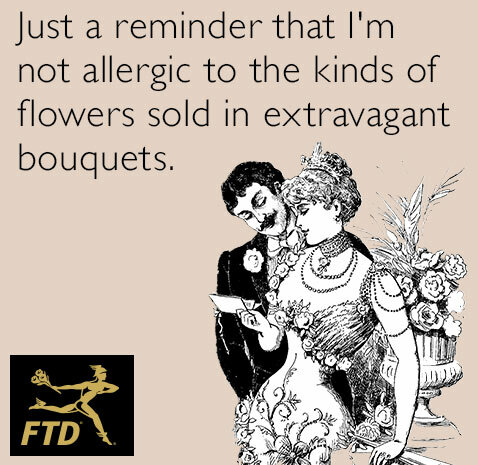 It’s hard to control the quality from so many local florists, but FTD guarantees your satisfaction. They will make your order right, or give you a full refund. They also guarantee that your flowers will be fresh for 7+ days. If you have an issue with your order, call customer service at: 1-800-send-ftd before writing a bad review. How much is FTD Gold Membership? It costs $19.99 per year. A good deal if you order flowers more than twice a year. What does FTD stand for? Answer: “Florist Transworld Deliveries,” and it was founded in 1910! I hope you benefitted from these tips. 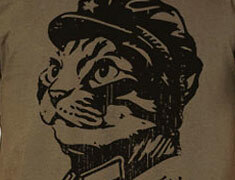 Be sure to use Chairman Meow’s featured coupon for up to a 30% discount on your order! You can also get tips for arranging flowers at ftd facebook page here!